You are here: Member pages » daniserralta » pictures » Sand tornado from the train to Djibouti. 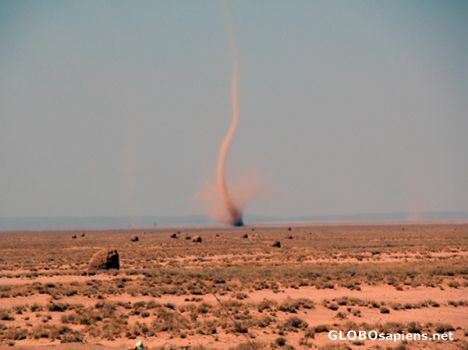 There are many sand tornados that you can see from the train to Djibouti. Wonderful shot, particularly from the train. Yeah! it was taked from the train. Was 18 hours for 300 km thruough the desert so imagine the speed!!! you can take pictures easily. This is a masterpiece picture! Eres el mejor! .... comes to our photographic forum "THEME: Motion" collection for sure! I wish you get the PoM with this unique picture! Yeah! when I was there I was really tyred and angry because of the hard train journey but at the same time I was enjoying itself and amazed by all that I saw. Now just the good things least in me.